When the Tibetan meditation master Chögyam Trungpa Rinpoche (1939-1987) began to teach in the West – at first in Great Brittan and then in the United States of America – he was confronted with the problem that his students regarded Buddhism as a religion. During the hippie era of the 1970s, the majority of his students were fascinated by the religious and exotic aspects of Tibetan Buddhism. They were looking for a teacher they could respect and who was able to guide them towards altered states of consciousness. Thus it was difficult for Trungpa Rinpoche to let his first students understand that meditation is first of all a method of examining the nature of mind and of working with thoughts, emotions, and problems related with everyday life. Meditation is not about discovering a supposed paradise. Trungpa Rinpoche soon understood that the language of Western psychology was an apt starting point for conveying Buddhist teachings to the West. In an era when Buddhism was still taught in a very traditional way, he applied terms as ego, neurosis, fear, depression, unconscious thought patterns. In this way Trungpa Rinpoche deliberately stopped teaching in a traditional way and reformulated the Buddhist teachings in a language that was more easily accessible for Westerners. In 1974 Trungpa Rinpoche founded the Naropa Institute – nowadays the Naropa University – in Boulder, Colorado. A group of Home Contemplative Psychology Karuna Training psychiatrists, psychologists, and therapists led the Department of Psychology. 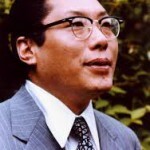 Trungpa Rinpoche had a special relationship with Edward M. Podvoll, M.D. (1936-2003), director of the Department of Psychology from 1977 until 1990. One of the outcomes of the cooperation between Trungpa Rinpoche, Ed Podvoll, and the students of the Naropa Institute was the founding of the Windhorse Project, a contemplative approach to and treatment of people suffering from a psychotic disorder. After Trungpa’s death in 1987 the Windhorse projects were continued, also in Europe. Irini Rockwell and Melissa Moore, who had both been teaching in North America and Europe quite extensively, shared an interest in creating a Contemplative Psychotherapy/Psychology training in Europe. They developed a curriculum modeled on the Contemplative Psychology Masters program at Naropa University in Boulder, Colorado. Elisabeth Fey, Dagmar Niehaus, Gabi Gokert and Angelika Schulz, who had a psychotherapeutic practice in Bielefeld, Germany, became the board.Melissa Moore. The first teaching faculty consisted of Melissa Moore, Irini Rockwell, Paul Cashman and Han de Wit. Karuna Training is designed for people who, either professionally or otherwise, work with others – psychiatrists, psychotherapists, body oriented therapists, social workers, teachers, stage directors, parents, etc. Sakyong Mipham Rinpoche – son and heir of Trungpa Rinpoche, and head of Shambhala International – authorized Karuna Training as part of the Shambhala Buddhist Tradition, as part of the section Upaya of Shambhala Europe. Currently Karuna Training is taught in the Netherlands, Germany, France, Austria, Poland and Spain. “Karuna Nederland” was founded in Amsterdam on 25 July 2001. Its objective is to broadcast the view and methods of Contemplative Psychology, and to apply these in professional and daily life.